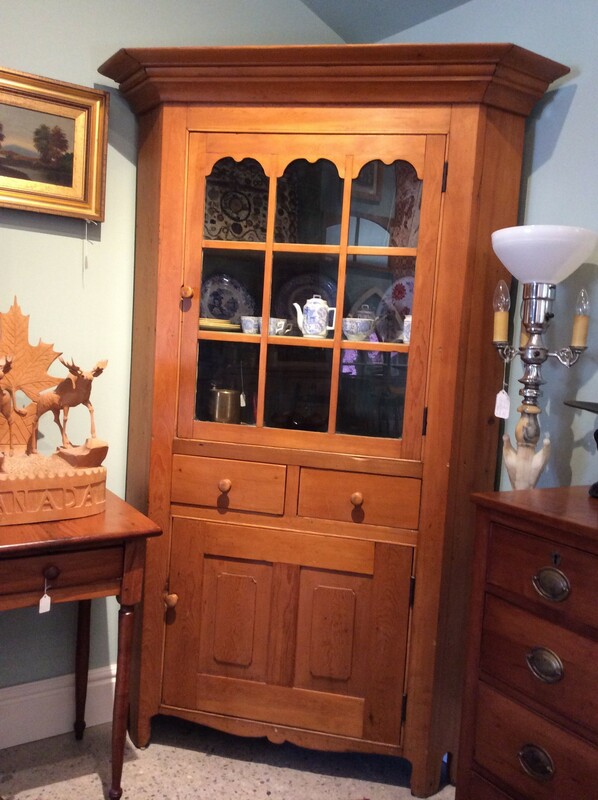 This early pine petite corner cupboard fits a 30 inch corner. Very hard to find. Found in southwestern Ontario. Circa 1850.